Nitin Gadkari, a senior BJP leader, has been in news for comments that seemed to be questioning his party's top leadership. 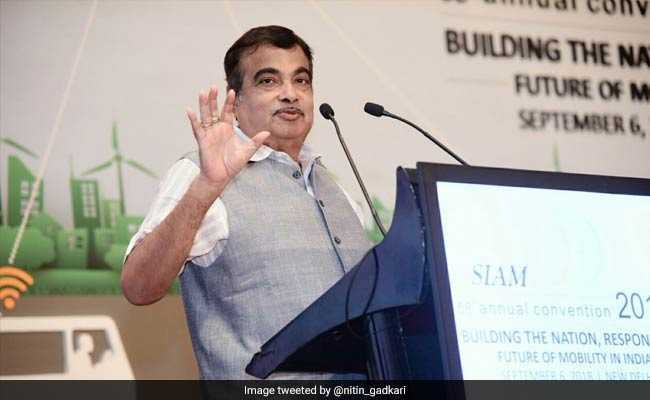 Lok Sabha polls: Nitin Gadkari has been projected as an alternative to PM Modi. Nationalist Congress Party chief Sharad Pawar on Saturday said that the growing buzz about Nitin Gadkari as an alternative to Prime Minister Narendra Modi has left him "worried". "(Nitin) Gadkari is my friend. We have worked together. There is talk about his name being pushed (as an alternative to Modi) and because of that I am worried about him," Mr Pawar was quoted by news agency PTI as saying. Although Mr Pawar did not elaborate his comments, his comments were seen as a swipe at PM Modi and Amit Shah. Mr Gadkari, a senior BJP leader, has been in news for comments that seemed to be questioning his party's top leadership. Shortly after his party suffered losses in the assembly elections, Mr Gadkari had said politicians who sold dreams to people but failed to make them a reality got "beaten up" by the public. The union minister's "one who cannot take care of home, cannot manage the country" remarks also came when the opposition was targeting PM Modi's over his handling of the Rafale deal and farmers agitations. "Gadkari Ji, compliments. You are the only one in the BJP with some guts. Please also comment on: The Rafale scam and Anil Ambani, farmers' distress and destruction of institutions," Rahul Gandhi tweeted and tagged with it the report on Mr Gadkari's comments. Mr Gadkari, however, has claimed that his comments were twisted by the media. The 61-year-old, who is seen to share good relations across party lines, has been suggested as a possible contender for prime minister if the BJP falls short of the magic number in the Lok Sabha elections, due in May. Shiv Sena, known to be critical against the BJP, has also claimed that Mr Gadkari has "equal acceptance in the RSS as well as among other BJP leaders". The minister for Minister for Road Transport and Highways has also received appreciation from the Opposition, including the Congress for improving the country's infrastructure. Recently, the union minister answers in the Lok Sabha on his ministry's work saw thumping of desks not just by ruling BJP members, but also Congress leaders like Sonia Gandhi and Mallikarjun Kharge. At the Republic Day parade on January 26, Mr Gadkari and Mr Gandhi were seated next to each other. The two leaders looked deep in conversation whenever the cameras were on the two leaders sitting in the front rows at Rajpath.